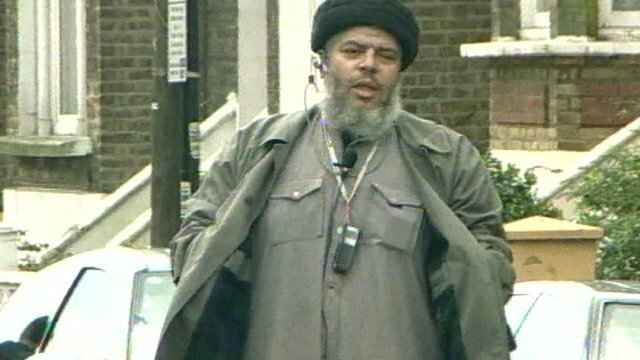 Abu Hamza to be extradited to US Jump to media player Five suspected terrorists - including radical cleric Abu Hamza al-Masri - can be extradited to the US to face trial, UK High Court judges rule. 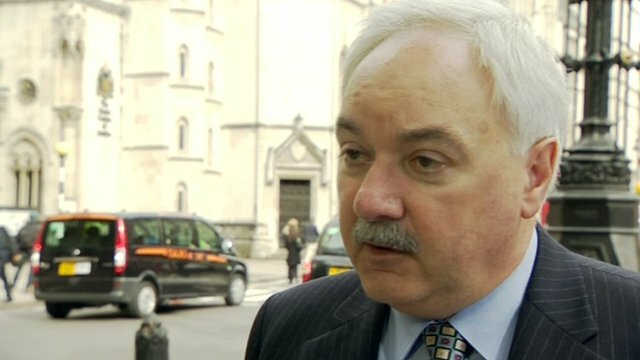 Extradition Act 'flawed', says lawyer Jump to media player Mark Spragg, solicitor at London firm Jeffrey Russell Green, has warned that the extradition of terror suspect Abu Hamza al-Masri is likely to be a long and arduous process, taking anything up to a year. 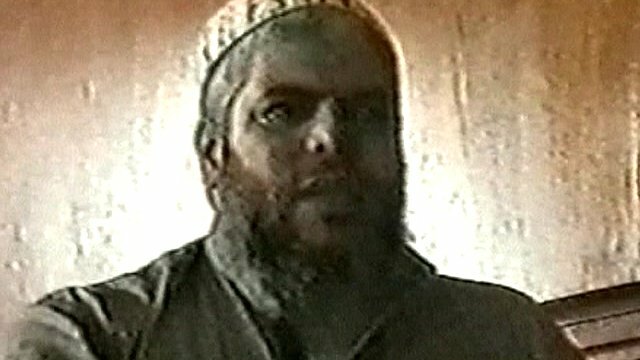 Archive: Hamza faces 16 criminal charges Jump to media player Muslim cleric Abu Hamza al-Masri has been charged with 16 offences including soliciting to murder and possession of a terrorist document. 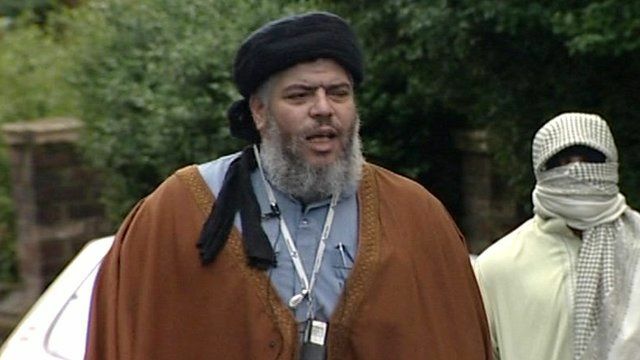 Archive: Hamza guilty of inciting murder Jump to media player Controversial Muslim cleric Abu Hamza al-Masri has been found guilty by an Old Bailey jury of using his sermons to incite murder and race hate charges. The radical cleric, along with Babar Ahmad, Syed Talha Ahsan, Adel Abdul Bary and Khaled al-Fawwaz, failed to show "new and compelling" reasons not to send them. The BBC's Dominic Casciani reports.